This article is about the comic strip. For the edible peanut, see Peanut. For other uses, see Peanut (disambiguation). Peanuts is a syndicated daily and Sunday American comic strip written and illustrated by Charles M. Schulz that ran from October 2, 1950, to February 13, 2000, continuing in reruns afterward. Peanuts is among the most popular and influential in the history of comic strips, with 17,897 strips published in all, making it "arguably the longest story ever told by one human being". At its peak in the mid- to late 1960s, Peanuts ran in over 2,600 newspapers, with a readership of around 355 million in 75 countries, and was translated into 21 languages. It helped to cement the four-panel gag strip as the standard in the United States, and together with its merchandise earned Schulz more than $1 billion. The strip focuses entirely on a social circle of young children, where adults exist but are rarely seen or heard. 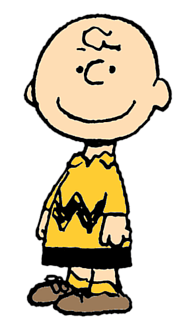 The main character, Charlie Brown, is meek, nervous, and lacks self-confidence. He is unable to fly a kite, win a baseball game, or kick a football held by his irascible friend Lucy, who always pulls it away at the last instant. Peanuts achieved considerable success with its television specials, several of which, including A Charlie Brown Christmas and It's the Great Pumpkin, Charlie Brown, won or were nominated for Emmy Awards. The Peanuts holiday specials remain popular and are broadcast on ABC in the U.S. during the appropriate seasons, since 2001. The Peanuts franchise also had success in theatre, with the stage musical You're a Good Man, Charlie Brown an oft-performed production. In 2013, TV Guide ranked the Peanuts television specials the fourth Greatest TV Cartoon of All Time. A computer-animated feature film based on the strip, The Peanuts Movie, was released in 2015. Peanuts had its origin in Li'l Folks, a weekly panel comic that appeared in Schulz's hometown paper, the St. Paul Pioneer Press, from 1947 to 1950. He first used the name Charlie Brown for a character there, although he applied the name in four gags to three different boys and one buried in sand. The series also had a dog that looked much like the early 1950s version of Snoopy. In 1948, Schulz sold a cartoon to The Saturday Evening Post, which published 17 of his single-panel cartoons. The first of these was of a boy sitting with his feet on an ottoman. In 1948, Schulz tried to have Li'l Folks syndicated through the Newspaper Enterprise Association, a firm run by the Scripps-Howard newspaper chain. Schulz would have been an independent contractor for the syndicate, unheard of in the 1940s, but the deal fell through. Li'l Folks was dropped in early 1950. Later that year, Schulz approached the United Feature Syndicate—also operated by Scripps-Howard—with his best work from Li'l Folks. When his work was picked up by United Feature Syndicate, they decided to run the new comic strip he had been working on. This strip was similar in spirit to the panel comic, but had a set cast of characters rather than different nameless little folk for each page. The name Li'l Folks was very close to the names of two other comics of the time: Al Capp's Li'l Abner and a strip titled Little Folks, so to avoid confusion, the syndicate settled on the name Peanuts, after the peanut gallery featured in the Howdy Doody TV show. The title Peanuts was chosen by the syndication editor. In a 1987 interview, Schulz said: "It's totally ridiculous, has no meaning, is simply confusing, and has no dignity—and I think my humor has dignity." The periodic collections of the strips in paperback book form typically had either "Charlie Brown" or "Snoopy" in the title, not "Peanuts", because of Schulz's distaste. From November 20, 1966, to January 4, 1987, the opening Sunday panels typically read Peanuts, featuring Good Ol' Charlie Brown. The first strip from October 2, 1950. From left to right: Charlie Brown, Shermy, and Patty. Peanuts premiered on October 2, 1950, in nine newspapers: The Washington Post, The Chicago Tribune, The Minneapolis Tribune, The Allentown Morning Call, The Bethlehem Globe-Times, The Denver Post, The Seattle Times, The New York World-Telegram & Sun, and The Boston Globe. It began as a daily strip. The first strip was four panels long and showed Charlie Brown walking by two other young children, Shermy and Patty. Shermy lauds Charlie Brown as he walks by, but then tells Patty how he hates him in the final panel. Snoopy was also an early character in the strip, first appearing in the third strip, which ran on October 4. Its first Sunday strip appeared January 6, 1952, in the half-page format, which was the only complete format for the entire life of the Sunday strip. Most of the other characters that eventually became the main characters of Peanuts did not appear until later: Violet (February 1951), Schroeder (May 1951), Lucy (March 1952), Linus (September 1952), Pig-Pen (July 1954), Sally (August 1959), Frieda (March 1961), "Peppermint" Patty (August 1966), Woodstock (introduced April 1967; given a name in June 1970), Franklin (July 1968), Marcie (July 1971), and Rerun (March 1973). Schulz decided to produce all aspects of the strip himself from the script to the finished art and lettering. Schulz did, however, hire help to produce the comic book adaptations of Peanuts. Thus, the strip was able to be presented with a unified tone, and Schulz was able to employ a minimalistic style. Backgrounds were generally not used, and when they were, Schulz's frazzled lines imbued them with a fraught, psychological appearance. This style has been described by art critic John Carlin as forcing "its readers to focus on subtle nuances rather than broad actions or sharp transitions." Schulz held this belief all his life, reaffirming in 1994 the importance of crafting the strip himself: "This is not a crazy business about slinging ink. This is a deadly serious business." While the strip in its early years resembles its later form, there are significant differences. The art was cleaner, sleeker, and simpler, with thicker lines and short, squat characters. For example, in these early strips, Charlie Brown's famous round head is closer to the shape of an American football or rugby football. Most of the kids were initially fairly round-headed. As another example, all the characters (except Charlie Brown) had their mouths longer and had smaller eyes when they looked sideways. The 1960s is known as the "golden age" for Peanuts. During this period some of the best-known themes and characters appeared, including Peppermint Patty, Snoopy as the "World War One Flying Ace", Frieda and her "naturally curly hair", and Franklin. Peanuts is remarkable for its deft social commentary, especially compared with other strips appearing in the 1950s and early 1960s. Schulz did not explicitly address racial and gender equality issues so much as assume them to be self-evident. Peppermint Patty's athletic skill and self-confidence is simply taken for granted, for example, as is Franklin's presence in a racially integrated school and neighborhood. (Franklin came about at least in part as a result of Schulz's correspondence in 1968 with a socially progressive fan.) The fact that Charlie Brown's baseball team had three girls was also at least ten years ahead of its time (and in fact, the 1966 TV special Charlie Brown's All-Stars dealt with Charlie Brown refusing sponsorship of the team because the sponsor said the league does not allow girls or dogs to play). Schulz threw satirical barbs at any number of topics when he chose. Over the years he tackled everything from the Vietnam War to school dress codes to "New math." One strip on May 20, 1962, even had an icon that stated "Defend Freedom, Buy US Savings Bonds." In 1963 he added a little boy named "5" to the cast, whose sisters were named "3" and "4," and whose father had changed their family name to their ZIP Code, giving in to the way numbers were taking over people's identities. In 1958, a strip in which Snoopy tossed Linus into the air and boasted that he was the first dog ever to launch a human parodied the hype associated with Sputnik 2's launch of Laika the dog into space earlier that year. Another sequence lampooned Little Leagues and "organized" play when all the neighborhood kids join snowman-building leagues and criticize Charlie Brown when he insists on building his own snowmen without leagues or coaches. Peanuts touched on religious themes on many occasions, most notably the classic television special A Charlie Brown Christmas in 1965, which features the character Linus van Pelt quoting the King James Version of the Bible (Luke 2:8–14) to explain to Charlie Brown what Christmas is all about (in personal interviews, Schulz mentioned that Linus represented his spiritual side). Because of the explicit religious material in A Charlie Brown Christmas, many have interpreted Schulz' work as having a distinct Christian theme, though the popular perspective has been to view the franchise through a secular lens. During the week of July 29, 1968, Schulz debuted the African-American character Franklin to the strip, at the urging of white Los Angeles schoolteacher Harriet Glickman. Though Schulz feared that adding a black character would be seen as patronizing to the African-American community, Glickman convinced him that the addition of black characters could help normalize the idea of friendships between children of different ethnicities. Franklin appeared in a trio of strips set at a beach, in which he first gets Charlie Brown's beach ball from the water and subsequently helps him build a sand castle, during which he mentions that his father is in Vietnam. He never occupies the same panel, however, with Sally. In 1975, the panel format was shortened slightly horizontally, and shortly thereafter the lettering became larger to compensate. Previously, the daily Peanuts strips were formatted in a four-panel "space saving" format beginning in the 1950s, with a few very rare eight-panel strips, that still fit into the four-panel mold. Beginning on Leap Day in 1988, Schulz abandoned the four-panel format in favor of three-panel dailies and occasionally used the entire length of the strip as one panel, partly for experimentation, but also to combat the dwindling size of the comics page. Later in the '90s, Schulz abandoned the characters Patty, Violet, Pigpen and Franklin. Schulz drew the strip for nearly 50 years, with no assistants, even in the lettering and coloring process. In the late 1970s, during Schulz's negotiations with United Feature Syndicate over a new contract, syndicate president William C. Payette hired superhero comic artist Al Plastino to draw a backlog of Peanuts strips to hold in reserve in case Schulz left the strip. When Schulz and the syndicate reached a successful agreement, United Media stored these unpublished strips, the existence of which eventually became public. Plastino himself also claimed to have ghostwritten for Schulz, apparently uncredited, while Schulz underwent heart surgery in 1983. In the 1980s and the 1990s, the strip remained the most popular comic in history, even though other comics, such as Garfield and Calvin and Hobbes, rivaled Peanuts in popularity. Schulz continued to write the strip until announcing his retirement on December 14, 1999, due to his failing health. The final daily original Peanuts comic strip was published on Monday, January 3, 2000. The strip contained a note to the readers of the strip from Schulz and a drawing of Snoopy, with his trusty typewriter, sitting atop his doghouse deep in thought. Beginning the next day, a rerun package premiered in papers that had elected to pick it up (see below). Although Schulz did not draw any daily strips that ran past January 3, he had drawn five Sunday strips that had yet to run. The first of these appeared six days after the last daily, on January 9. Many other cartoonists paid tribute to Peanuts and Schulz by homages in their own strips, appearing on February 13, 2000, or in the week beforehand. The comic was reprinted the day after that, but only had the farewell letter. After Peanuts ended, United Feature Syndicate began offering the newspapers that ran it a package of reprinted strips under the title Classic Peanuts. The syndicate limited the choices to either strips from the 1960s or from the 1990s, although a newspaper was also given the option to carry both reprint packages if it desired. All Sunday strips in the package, however, come from the 1960s. Peanuts continues to be prevalent in multiple media through widespread syndication, the publication of The Complete Peanuts, the release of several new television specials (all of which Schulz had worked on, but had not finished, before his death), and Peanuts Motion Comics. Additionally, BOOM! Studios has published a series of comic books that feature new material by new writers and artists, although some of it is based on classic Schulz stories from decades past, as well as including some classic strips by Schulz, mostly Sunday color strips. Universal Uclick's website, GoComics.com, announced on January 5, 2015 that they would be launching "Peanuts Begins", a feature rerunning the entire history of the strip from the beginning in colorized form. This was done to honor the 65th anniversary of the strip's debut. On June 3, 2010, United Media sold all its Peanuts-related assets, including its strips and branding, to a new company, Peanuts Worldwide, LLC, a joint venture of the Iconix Brand Group (which owned 80 percent) and Charles M. Schulz Creative Associates (20 percent). In addition, United Media sold its United Media Licensing arm, which represents licensing for its other properties, to Peanuts Worldwide. United Feature Syndicate continued to syndicate the strip, until February 27, 2011, when Universal Uclick took over syndication, ending United Media's 60-plus-years stewardship of Peanuts. In May 2017, DHX Media announced that it would acquire Iconix's entertainment brands, including the 80% stake of Peanuts Worldwide and full rights to the Strawberry Shortcake brand, for $345 million. DHX officially took control of the properties on June 30, 2017. On May 13, 2018, DHX announced it had reached a strategic agreement for Sony Music Entertainment Japan to acquire 49% of its 80% stake in Peanuts Worldwide for $185 million, with DHX holding a 41% stake and SMEJ owning 39%. (SMEJ's consumer products division has been a licensing agent for the Peanuts brand since 2010.) The transaction was completed on July 23. Two months after the sale's completion, DHX eliminated the rest of its debt by signing a five-year, multi-million dollar agency agreement with CAA-GBG Global Brand Management Group (a brand management joint venture between Creative Artists Agency and Hong Kong-based Global Brands Group) to represent the Peanuts brand in China and the rest of Asia excluding Japan. The initial cast of Peanuts was small, featuring only Charlie Brown, Shermy, Patty (not to be confused with Peppermint Patty) and (two days after the release of the first strip) a beagle, Snoopy. The first addition, Violet, was made on February 7, 1951. Other character introductions that soon followed were Schroeder, on May 30, 1951, as a baby; Lucy, on March 3, 1952; Lucy's baby brother Linus, on September 19, 1952 (after his existence was first mentioned on July 14); and Pig-Pen, on July 13, 1954. Though the strip did not have a lead character at first, it soon began to focus on Charlie Brown, a character developed from some of the painful experiences of Schulz's formative years. In early strips, Charlie Brown was depicted as distinctly younger than his cohorts Patty and Shermy. His main characteristic is either self-defeating stubbornness or admirably determined persistence to try his best against all odds: he can never win a ballgame but continues playing baseball; he can never fly a kite successfully but continues to try. Though his inferiority complex was evident from the start, in the earlier strips he also got in his own jabs when verbally sparring with Patty and Shermy. Some early strips also involved romantic attractions between Charlie Brown and Patty or Violet. On September 1, 1958, Charlie Brown's father was formally revealed to be a barber (after earlier hints). In 1960, Hallmark Cards introduced the now popular line of Charlie Brown greeting cards. Charlie Brown and Snoopy reached new heights on May 18, 1969, as they became the names of the command module and lunar module, respectively, for Apollo 10. As the years went by, Shermy, Patty, and Violet appeared less often and were demoted to supporting roles (eventually disappearing from the strip in 1969, 1976, and 1984 respectively, although Patty and Violet were still seen as late as November 27, 1997), while new major characters were introduced. Schroeder, Lucy van Pelt, and her brother Linus debuted as very young children—with Schroeder and Linus both in diapers and pre-verbal. Snoopy also started to verbalize his thoughts via thought bubbles. One recurring theme in the strip is Charlie Brown's neighborhood baseball team. Charlie Brown is the team's player–manager and, usually, its pitcher, and Schroeder is the catcher. The other characters make up the rest of the team, including Linus as second baseman and Lucy as right fielder. Charlie Brown is a terrible pitcher, often giving up tremendous hits that either knock him off the mound or disrobe him, leaving only his shorts. The team itself is also poor, with only Snoopy, at shortstop, showing competence. The team consistently loses, but while it is often called "winless", it does win several games over the course of the strip's run, mostly when Charlie Brown is not playing, a fact he finds highly dispiriting. In the late 1950s, Snoopy, previously a minor character, began to appear more often, and in the 1960s he became a major character. The naming of Apollo 10's command module and lunar module for Charlie Brown and Snoopy respectively attests to the character's prominence at that time. Many of the strips from the 1960s onward revolve around Snoopy's active, Walter Mitty–like fantasy life, in which he imagines himself in various roles, including a World War I Flying Ace, a World Famous Author, and a college student named Joe Cool. Despite these roles' impressive names, Snoopy usually fails in his fantasies. Schulz continued to introduce new characters, notably Peppermint Patty, a tomboyish, assertive, athletic, freckle-faced, shorts-and-sandals-wearing girl. Peppermint Patty shakes up Charlie Brown's world by calling him "Chuck", flirting with him and giving him compliments he is not sure he deserves. She also brings in a new group of friends (and heads a rival baseball team), including the strip's first black character, Franklin; a Mexican–Swedish kid named José Peterson; and Peppermint Patty's bookish sidekick Marcie, who calls Peppermint Patty "Sir" and Charlie Brown "Charles" and sometimes "Chuck" (most characters only call him "Charlie Brown", though he was known as "Charles" to Eudora, "big brother" to his sister Sally Brown, "that round-headed kid" to Snoopy, and "Brownie Charles" to Peggy Jean after misspeaking his name out of nervousness). Several additional family members of the characters were also introduced: Charlie Brown's younger sister Sally, who became fixated on Linus; Linus and Lucy van Pelt's younger brother Rerun, who for a time almost always appeared on the back of his mother's bike; and Spike, Snoopy's desert-dwelling brother from Needles, California, who was apparently named for Schulz's own childhood dog. Snoopy also had six other siblings, and four of them made appearances in the strip (his brothers Andy, Olaf, and Marbles, and his sister Belle). Other notable characters include Snoopy's friend Woodstock, a bird whose chirping is represented in print as hash marks but is nevertheless clearly understood by Snoopy; three of Woodstock's friends who usually appeared when on a scouting trip with Snoopy as their scout leader; Pig-Pen, the perpetually dirty boy who could raise a cloud of dust on a clean sidewalk, in a snowstorm, or inside a building; and Frieda, a girl proud of her "naturally curly hair", who owned a cat named Faron, much to Snoopy's chagrin. Peanuts also had several recurring characters who were never seen. Some, such as the Great Pumpkin or Manfred von Richthofen (the Red Baron), were merely figments of the cast's imaginations. Others were not imaginary, such as the Little Red-Haired Girl (Charlie Brown's perennial dream girl who finally appeared in 1998, but only in silhouette), Joe Shlabotnik (Charlie Brown's baseball hero), World War II (the vicious cat who lives next door to Snoopy—not to be confused with Frieda's cat, Faron), and Charlie Brown's unnamed pen pal, known as his "pencil-pal" after Charlie Brown fails to master the fountain pen. Adult figures appeared in the strip only once, during a four-week Sunday-comic sequence in 1954 in which Lucy plays in an amateur golf tournament, with Charlie Brown "coaching" her. At no time, however, were any adult faces seen (it was also in this sequence that Lucy's family name, van Pelt, was first revealed). There are adult voices in a few of the early strips. Schulz also added some fantastical characters, sometimes imbuing inanimate objects with life. Charlie Brown's nemesis, the Kite-Eating Tree, is one example. Sally Brown's school building expresses thoughts and feelings about the students and the general business of being a brick building. Linus's security blanket also occasionally displays signs of anthropomorphism. Charlie Brown's pitching mound also sometimes expresses thoughts and opinions ("Why don't you learn how to pitch, you stupid kid?"). Schulz received the National Cartoonist Society Humor Comic Strip Award for Peanuts in 1962, the Reuben Award in 1955 and 1964 (the first cartoonist to receive the honor twice), the Elzie Segar Award in 1980, and the Milton Caniff Lifetime Achievement Award in 1999. A Charlie Brown Christmas won a Peabody Award and an Emmy; Peanuts cartoon specials have received a total of two Peabody Awards and four Emmys. For his work on the strip, Schulz has a star on the Hollywood Walk of Fame (as does Snoopy) and a place in the William Randolph Hearst Cartoon Hall of Fame. Peanuts was featured on the cover of Time on April 9, 1965, with the accompanying article calling it "the leader of a refreshing new breed that takes an unprecedented interest in the basics of life." The strip was declared second in a list of the "greatest comics of the 20th century" commissioned by The Comics Journal in 1999. The top ranked comic was George Herriman's Krazy Kat, a strip Schulz admired (and in fact was among his biggest inspirations), and he accepted the ranking in good grace, to the point of agreeing with it. In 2002 TV Guide declared Snoopy and Charlie Brown tied for 8th in its list of the "Top 50 Greatest Cartoon Characters of All Time", published to commemorate its 50th anniversary. Cartoon tributes have appeared in other comic strips since Schulz's death in 2000 and are now displayed at the Charles Schulz Museum. In May 2000, many cartoonists included a reference to Peanuts in their strips. Originally planned as a tribute to Schulz's retirement, after his death that February it became a tribute to his life and career. Similarly, on October 30, 2005, several comic strips again included references to Peanuts and specifically the It's the Great Pumpkin, Charlie Brown television special. The December 1997 issue of The Comics Journal featured an extensive collection of testimonials to Peanuts. Over 40 cartoonists, from mainstream newspaper cartoonists to underground, independent comic artists, shared reflections on the power and influence of Schulz's art. Gilbert Hernandez wrote, "Peanuts was and still is for me a revelation. It's mostly from Peanuts where I was inspired to create the village of Palomar in Love and Rockets. Schulz's characters, the humor, the insight ... gush, gush, gush, bow, bow, bow, grovel, grovel, grovel ..." Tom Batiuk wrote: "The influence of Charles Schulz on the craft of cartooning is so pervasive it is almost taken for granted." Batiuk also described the depth of emotion in Peanuts: "Just beneath the cheerful surface were vulnerabilities and anxieties that we all experienced, but were reluctant to acknowledge. By sharing those feelings with us, Schulz showed us a vital aspect of our common humanity, which is, it seems to me, the ultimate goal of great art." Schulz was included in the touring exhibition "Masters of American Comics". His work was described as "psychologically complex," and his style as "perfectly in keeping with the style of its times." Despite the widespread acclaim Peanuts has received, some critics have alleged a decline in quality in the later years of its run, as Schulz frequently digressed from the more cerebral socio-psychological themes that characterized his earlier work in favor of lighter, more whimsical fare. For example, in an essay published in the New York Press at the time of the final daily strip in January 2000, "Against Snoopy," Christopher Caldwell argued that Snoopy, and the strip's increased focus on him in the 1970s, "went from being the strip's besetting artistic weakness to ruining it altogether". Video rights to all the films and TV specials were licensed by Media Home Entertainment and Kartes Video Communications in the 1980s. In the early 1990s, the rights were acquired by Paramount Pictures and the company released all of the TV specials under their Paramount Home Video label. The distribution rights to the TV specials are now with Warner Bros. Television and Warner Home Video, who purchased the rights from Paramount in 2007 and managed by its classic animation division. Paramount holds the home media rights to all four theatrical releases, having acquired the rights to A Boy Named Charlie Brown and Snoopy, Come Home following the merger of its parent Viacom with CBS; CBS' former subsidiary Cinema Center Films released the first two films in theaters and CBS/Fox Video released them on home video while Paramount handled production and home video distribution Race for Your Life, Charlie Brown and Bon Voyage, Charlie Brown (and Don't Come Back!!). The two companies do not share distribution of the films on television; CBS Television Distribution handles the first two films while Trifecta Entertainment and Media handles the later two. Before the documentary was completed, the three of them (with help from their sponsor, the Coca-Cola Company) produced their first half-hour animated special, the Emmy- and Peabody Award-winning A Charlie Brown Christmas, which was first aired on the CBS network on December 9, 1965. This episode is undoubtedly the most widely recognized of all Peanuts TV specials. This came after Coca-Cola asked Mendelson if he had a Christmas special. He said "yes." The next day he called Schulz up and said they were making A Charlie Brown Christmas. The animated version of Peanuts differs in some aspects from the strip. In the strip, adult voices are heard, though conversations are usually only depicted from the children's end. To translate this aspect to the animated medium, the sound of a trombone with a solotone mute (created by Vince Guaraldi played by Dean Hubbard) was used to simulate adult "voices." A more significant deviation from the strip was the treatment of Snoopy. In the strip, the dog's thoughts are verbalized in thought balloons; in animation, he is typically mute, his thoughts communicated through growls or laughs (voiced by Bill Meléndez), and pantomime, or by having human characters verbalizing his thoughts for him. These treatments have both been abandoned temporarily in the past. For example, they experimented with teacher dialogue in She's a Good Skate, Charlie Brown. The elimination of Snoopy's "voice" is probably the most controversial aspect of the adaptations, but Schulz apparently approved of the treatment. The success of A Charlie Brown Christmas was the impetus for CBS to air many more prime-time Peanuts specials over the years, beginning with Charlie Brown's All-Stars and It's the Great Pumpkin, Charlie Brown in 1966. In total, more than thirty animated specials were produced. Until his death in 1976, jazz pianist Vince Guaraldi composed musical scores for the specials, in particular, the piece "Linus and Lucy" which has become popularly known as the signature theme song of the Peanuts franchise. Schulz, Mendelson and Meléndez also collaborated on four theatrical feature films starring the characters, the first of which was A Boy Named Charlie Brown (1969). Most of these made use of material from Schulz' strips, which were then adapted, although in other cases plots were developed in subject areas where there were minimal strips to reference. The 1971 TV special Play It Again, Charlie Brown was the first time that someone other than Peter Robbins voiced Charlie Brown which in this case was Chris Inglis. The characters voices were slightly deeper than usual. It would be like that for the rest of the TV specials. In 1972, the second feature film Snoopy, Come Home was released. This was the first time that Snoopy's thoughts were communicated to the audiences. The film's theme of loss made it have as much sadness as any animation centering on Charlie Brown. Snoopy and Charlie Brown's parting, Charlie Brown's inability to cope without his friend, and Snoopy's farewell to his former owner Lila are often pointed out as poignant moments in the history of Peanuts. [by whom?] Starting with A Charlie Brown Thanksgiving, Phil Roman would direct the specials. It's Arbor Day, Charlie Brown was the last special produced during Vince Guaraldi's lifetime as he died two months before this special aired. It was dedicated to him. Ed Bogas composed the musical scores of Peanuts television specials 1977 until 1989. Judy Munsen composed the musical scores alongside Ed Bogas from 1977 until 1992. Desirée Goyette briefly composed the musical scores on and off during the 1980s. Race for Your Life, Charlie Brown was the first project done after Guaraldi's death. It used the same voice cast as You're a Good Sport, Charlie Brown. It's Your First Kiss, Charlie Brown and What a Nightmare, Charlie Brown! featured Linus & Lucy arrangement's Ed Bogas and Judy Munsen. Starting with A Charlie Brown Celebration, Bill Melendez would direct the specials again. A Charlie Brown Celebration, It's an Adventure, Charlie Brown, and The Charlie Brown and Snoopy Show all had vignettes while It's Flashbeagle, Charlie Brown, You're a Good Man, Charlie Brown, and Snoopy!!! The Musical were musicals though there were two songs in Happy New Year, Charlie Brown!. It's the Girl in the Red Truck, Charlie Brown was the only special during this period in which Ed Bogas, Judy Munsen, or Desiree Goyette were not involved in music production with Paul Rodriquez as the composer. The former and latter would stop scoring the specials in 1990. Eight Peanuts-based specials have been made posthumously. Of these, three are tributes to Peanuts or other Peanuts specials, and five are completely new specials based on dialogue from the strips and ideas given to ABC by Schulz before his death. He's a Bully, Charlie Brown, was telecast on ABC on November 20, 2006, following a repeat broadcast of A Charlie Brown Thanksgiving. Airing 43 years after the first special, the premiere of He's a Bully, Charlie Brown was watched by nearly 10 million viewers, winning its time slot and beating a Madonna concert special. In the 2010 Macy's Thanksgiving Day Parade, it was announced that a new Peanuts animated special, Happiness Is a Warm Blanket, Charlie Brown, would debut in 2011. The special was released on DVD first, on March 29, 2011, and later premiered on Fox, on November 24, 2011. In October 2007, Warner Bros. acquired the Peanuts catalog from Paramount for an undisclosed amount of money. As aforementioned, they now hold the worldwide distribution rights for all Peanuts properties including over 50 television specials—these are originally managed by Warner Bros. Television and Warner Bros. Television Animation. Warner has made plans to develop new specials for television as well as the direct to video market, as well as short subjects for digital distribution, and some of these have in fact already been released via Warner Premiere. Paramount retains the rights to the theatrical releases, as the first two movies (A Boy Named Charlie Brown and Snoopy, Come Home) are owned by CBS and distributed for home video through Paramount while CTD distributes for television, and the other two (Race for Your Life, Charlie Brown and Bon Voyage, Charlie Brown (and Don't Come Back!!)) were handled in-house by Paramount, with Trifecta holding TV distribution rights. The Peanuts Movie main characters as seen in the picture (L to R): Franklin, Marcie, Peppermint Patty, Linus, Charlie Brown, Snoopy, Lucy, Woodstock, Sally, Schroeder, and Pig-Pen. In October 2012, it was announced that a 3D computer-animated feature film titled The Peanuts Movie would be released on November 6, 2015, coinciding with the 65th anniversary of the debut of the comic strip and the 50th anniversary of the television special, A Charlie Brown Christmas. Written by Charles Schulz's son, Craig, his grandson, Bryan, and Cornelius Uliano—who also produced the film alongside Paul Feig—it was animated by 20th Century Fox's Blue Sky Studios, and directed by Steve Martino, the director of Horton Hears a Who! and Ice Age: Continental Drift. A trailer for the film was released on March 18, 2014. That same day, it was also announced that archive recordings of Bill Meléndez would be used to make up Snoopy and Woodstock's dialogue. With an opening North-American weekend of $44 million, The Peanuts Movie went on to earn over $130 million in the North-American markets, and a total of $246 million worldwide. The primary series of reprints was published by Rinehart & Company (later Holt, Rinehart and Winston) beginning in 1952, with the release of a collection simply titled Peanuts. This series, which presented the strips in rough chronological order (albeit with many strips omitted from each year) continued through the 1980s, after which reprint rights were handed off to various other publishers. Ballantine Books published the last original series of Peanuts reprints, including Peanuts 2000, which collected the final year of the strip's run. Coinciding with these reprints were smaller paperback collections published by Fawcett Publications. Drawing material from the main reprints, this paperback series began with The Wonderful World of Peanuts in 1962 and continued through Lead On, Snoopy in 1992. Charles Schulz had always resisted republication of the earliest Peanuts strips, as they did not reflect the characters as he eventually developed them. However, in 1997 he began talks with Fantagraphics Books to have the entire run of the strip, which would end up with 17,897 strips total, published chronologically in book form. In addition to the post-millennium Peanuts publications are BOOM! Studios restyling of the comics and activity books, and "First Appearances" series. Its content is produced by Peanuts Studio, subsequently an arm of Peanuts Worldwide LLC. The entire run of Peanuts, covering nearly 50 years of comic strips, was reprinted in Fantagraphics' The Complete Peanuts, a 26-volume set published over a 12-year period, consisting of two volumes per year published every May and October. The first volume (collecting strips from 1950 to 1952) was published in May 2004; the volume containing the final newspaper strips (including all the strips from 1999 and seven strips from 2000, along with the complete run of Lil' Folks) was published in May 2016, with a twenty-sixth volume containing outside-the-daily-strip Peanuts material by Schulz appeared in the fall of that year. A companion series, titled Peanuts Every Sunday and presenting the complete Sunday strips in color (as the main Complete Peanuts books reproduce them in black and white only), was launched in December 2013; this series will run ten volumes, with the last expected to be published in 2022. In addition, almost all Peanuts strips are now also legally available online at GoComics.com (there are some strips missing from the digital archive). Peanuts strips were previously featured on Comics.com. Peanuts characters even found their way to the live stage, appearing in the musicals You're a Good Man, Charlie Brown and Snoopy!!! — The Musical, and in "Snoopy on Ice", a live Ice Capades-style show aimed primarily at young children, all of which have had several touring productions over the years. You're a Good Man, Charlie Brown was originally a successful Off-Broadway musical that ran for four years (1967–1971) in New York City and on tour, with Gary Burghoff as the original Charlie Brown. An updated revival opened on Broadway in 1999, and by 2002 it had become the most frequently produced musical in American theatre history. It was also adapted for television twice, as a live-action NBC special and an animated CBS special. Snoopy!!! The Musical was a musical comedy based on the Peanuts comic strip, originally performed at Lamb's Theatre Off-Broadway in 1982. In its 1983 run in London's West End, it won an Olivier Award. In 1988, it was adapted into an animated TV special. The New Players Theatre in London staged a revival in 2004 to honor its 21st anniversary, but some reviewers noted that its "feel good" sentiments had not aged well. A Charlie Brown Christmas has also been adapted to the stage, and an official stage version of the production written by Eric Schaeffer in 2013 is available from Tams-Witmark Music Library, Inc. The Off-Broadway drama Dog Sees God: Confessions of a Teenage Blockhead centers on the Peanuts characters becoming teenagers, though it is an unauthorized parody. In 1983, Knott's Berry Farm, in Southern California, was the first theme park to license the Peanuts characters, creating the first Camp Snoopy area and making Snoopy the park's mascot. Knott's expanded its operation in 1992 by building an indoor amusement park in the Mall of America, called Knott's Camp Snoopy. The Knott's theme parks were acquired by the national amusement park chain Cedar Fair Entertainment Company in 1997, which continued to operate Knott's Camp Snoopy park until the mall took over its operation in March 2005. Cedar Fair had already licensed the Peanuts characters for use in 1992 as atmosphere, so its acquisition of Knott's Berry Farm did not alter the use of those characters. Snoopy is currently the official mascot of all the Cedar Fair parks. It was previously used in all of the park logos but it has since been removed. Cedar Fair also operated a Camp Snoopy area at Dorney Park & Wildwater Kingdom, Worlds of Fun, and Valleyfair featuring various Peanuts-themed attractions until 2011. There is still a Camp Snoopy area at Cedar Point and Knott's Berry Farm. In 2008, Cedar Point introduced Planet Snoopy, a children's area where Peanuts Playground used to be. This area consists of family and children's rides relocated from Cedar Point's sister park Geauga Lake after its closing. The rides are inspired by Peanuts characters. The area also consists of a "Kids Only" restaurant called Joe Cool Cafe (there is a small menu for adults). In 2010, the Nickelodeon Central and Nickelodeon Universe areas in the former Paramount Parks (California's Great America, Canada's Wonderland, Carowinds, Kings Dominion, and Kings Island) were replaced by Planet Snoopy. In 2011, Cedar Fair announced it would also add Planet Snoopy to Valleyfair, Dorney Park & Wildwater Kingdom, and Worlds of Fun, replacing the Camp Snoopy areas. Planet Snoopy is now at every Cedar Fair park beside Knott's Berry Farm and Michigan's Adventure. In 2018 Planet Snoopy was renamed Camp Snoopy & renovations were made to make these areas of the Cedar Fair parks look more like camp. Many of the rides were renamed as well. Also, the Peanuts characters can be found at Universal Studios Japan in the Universal Wonderland section along with the characters from Sesame Street and Hello Kitty. Over the years, the Peanuts characters have appeared in ads for Dolly Madison snack cakes, Chex Mix, Bounty, Cheerios, A&W Root Beer, Kraft Foods, and Ford automobiles. In 1994, Pig-Pen appeared in a memorable spot for Regina vacuum cleaners. They served as spokespeople in print and television advertisements for the MetLife insurance company. MetLife usually used Snoopy in its advertisements as opposed to other characters: for instance, the MetLife blimps were named "Snoopy One" and "Snoopy Two" and featured him in his World War I flying ace persona. Starting in 2011, the annual New York Giants and New York Jets preseason football game is called the MetLife Bowl. The winning team receives a trophy which depicts Snoopy carrying a football, wearing an old-style football helmet and holding his arm up as if to ward off a tackler. On October 20, 2016, MetLife announced the end of its 31-year relationship with Peanuts. In East Asia, RM Licensing has licensed the Peanuts characters for fashion stores, children's apparel, and restaurants including Charlie Brown Cafe, a Hong Kong-based fast casual restaurant chain. There is also a Charlie Brown Cafe, themed with Peanuts characters, in Hongdae, Mapo-gu, Seoul, South Korea. The Peanuts characters have been licensed to Universal Studios Japan (while Peanuts merchandise in Japan has been licensed by Sanrio, best known for Hello Kitty). The Apollo 10 lunar module was nicknamed "Snoopy" and the command module "Charlie Brown". While not included in the official mission logo, Charlie Brown and Snoopy became semi-official mascots for the mission. Charles Schulz drew an original picture of Charlie Brown in a spacesuit that was hidden aboard the craft to be found by the astronauts once they were in orbit. This drawing is now on display at the Kennedy Space Center. Snoopy is the personal safety mascot for NASA astronauts, and NASA issues a Silver Snoopy award to employees that promote flight safety. The black "caps" that the Apollo astronauts wore on their heads were referred to as "Snoopy hats." Giant helium balloons of Charlie Brown and Snoopy have long been a feature in the annual Macy's Thanksgiving Day Parade in New York City. This was referenced in a Super Bowl XLII commercial for Coca-Cola, in which the Charlie Brown balloon snags a Coca-Cola bottle from two battling balloons (Underdog and Stewie Griffin). The Peanuts characters have appeared in various video games, such as Snoopy in 1984 by Radarsoft, Snoopy: The Cool Computer Game by The Edge, Snoopy and the Red Baron for the Atari 2600, Snoopy's Silly Sports Spectacular (1989, Nintendo Entertainment System), Snoopy's Magic Show (1990, Game Boy), Snoopy Tennis (2001, Game Boy Color), Snoopy Concert which was released in 1995 and sold to the Japanese market for the Super NES, and in October 2006, a second game titled Snoopy vs. The Red Baron by Namco Bandai for the PlayStation 2. In July 2007, the Peanuts characters appeared in the Snoopy the Flying Ace mobile-phone game by Namco Networks. In 1980 (with a new edition published in 1990), the Funk & Wagnalls publishing house also produced a children's encyclopedia called the Charlie Brown's 'Cyclopedia. The 15-volume set features many of the Peanuts characters. In April 2002, The Peanuts Collectors Edition Monopoly board game was released by USAopoly. The game was dedicated to Schulz in memory of his passing. An exhibition entitled Good Grief, Charlie Brown! Celebrating Snoopy and the Enduring Power of Peanuts opens at Somerset House in London on 25 October 2018, running until 3 March 2019. The exhibition brings together Charles M. Schulz original Peanuts cartoons with work from a wide range of acclaimed contemporary artists and designers who have been inspired by the cartoon. The Perishers a British inspired similar strip. ^ a b "The man who recalled everything". Maclean's. October 22, 2007. ^ Brooks, Katherine (October 2, 2013). "10 Of The Best Snoopy Moments To Celebrate 'Peanuts' 63rd Anniversary". 3 October 2013. Huff Post Arts & Culture. Retrieved October 3, 2013. ^ Hofer, Kaycee J. (February 22, 2000). "Saying Goodbye: Friends and family eulogize cartoonist Charles Schulz". San Francisco Chronicle. ^ a b Walker, Brian (2002). The comics: since 1945. New York: Harry N. Abrams, Inc.
^ "comic strip :: The first half of the 20th century: the evolution of the form". Encyclopædia Britannica. Retrieved December 10, 2015. ^ "ENVELOPE". Los Angeles Times. March 7, 1965. Archived from the original on January 3, 2007. Retrieved May 21, 2015. ^ Sands, Rich (September 24, 2013). "TV Guide Magazine's 60 Greatest Cartoons of All Time – Today's News: Our Take". TVGuide.com. Retrieved May 21, 2015. ^ McKinnon, Heather (February 15, 2004). "Seattle's Fantagraphics Books will release 'The Complete Peanuts'". The Seattle Times. ^ Schulz, Charles (c). Peanuts. October 4, 1950, United Feature Syndicate. ^ Nat Gertler (October 2000). "Dale Hale and the 'Peanuts' Comic Book: The Interview". Hogan's Alley. No. 8. Cartoonician.com. Republished in Hogan's Alley blog by Tom Heintjes, May 17, 2015. ^ Tom Heintjes (May 17, 2015). "Charles M. Schulz on Cartooning | Hogan's Alley". Cartoonician.com. Retrieved May 21, 2015. ^ a b Caldwell, Christopher (January 4, 2000). "Against Snoopy". New York Press. ^ "Peanuts by Charles Schulz, August 22, 1966 Via @GoComics". GoComics. Retrieved November 14, 2015. ^ "Peanuts by Charles Schulz, October 10, 1965 Via @GoComics". GoComics. Retrieved November 14, 2015. ^ "Peanuts by Charles Schulz, March 06, 1961 Via @GoComics". GoComics. Retrieved November 14, 2015. ^ "Peanuts by Charles Schulz, July 29, 1968 Via @GoComics". GoComics. Retrieved November 14, 2015. ^ a b Nat Gertler (2012). "Crossing the Color Line (in Black and White): Franklin in 'Peanuts'". Hogan's Alley. No. 18. Cartoonician.com. Republished in Hogan's Alley blog by Tom Heintjes, May 17, 2015. ^ a b Evon, Dan (December 24, 2015). "You're a Racist, Charlie Brown? : A closer look at allegations of racism in the comic strip 'Peanuts'". Snopes.com. ^ "Peanuts by Charles Schulz, May 20, 1962 Via @GoComics". GoComics. Retrieved November 14, 2015. ^ "Peanuts by Charles Schulz, September 30, 1963 Via @GoComics". GoComics. Retrieved November 14, 2015. ^ "Peanuts by Charles Schulz, October 01, 1963 Via @GoComics". GoComics. Retrieved November 14, 2015. ^ Yoe, Craig, Clean Cartoonists' Dirty Drawings. San Francisco, Calif.: Last Gasp, 2007, p. 36; Michaelis, David, Schulz and Peanuts: A Biography. New York: HarperPerennial, 2008, p. ix. ^ "About Al". Al Plastino (official site). Archived from the original on July 7, 2011. ^ "Most Syndicated Comic Strip, Peanuts, Charles Schulz, USA". Archived from the original on September 30, 2007. Retrieved June 9, 2007. ^ "Comic strips hail spark of 'Peanuts' creator". Deseret News. May 28, 2000. Retrieved June 2, 2017. ^ "New Comic Alert! Peanuts Begins by Charles Schulz". Archived from the original on December 20, 2016. Retrieved December 30, 2016. ^ "Iconix Brand Group Closes Acquisition of Peanuts – NEW YORK, June 3 /PRNewswire-FirstCall/". Prnewswire.com. Retrieved May 21, 2015. ^ "Iconix Forms Peanuts Worldwide | License! Global". Licensemag.com. Archived from the original on March 4, 2012. Retrieved May 21, 2015. ^ Cavna, Michael (September 11, 2010). "'Peanuts' comics strip will leave syndicate in February for Universal Uclick". The Washington Post. Retrieved November 11, 2010. ^ "DHX Media Acquires 'Peanuts' in $345 Million Purchase of Iconix". Variety. Retrieved May 10, 2017. ^ "DHX Media Closes Acquisition of Peanuts and Strawberry Shortcake". Retrieved 2018-02-13. ^ Ltd., DHX Media. "DHX Media Forms Strategic Partnership with Sony on Peanuts". www.prnewswire.com. ^ "DHX MEDIA CLOSES SALE TO SONY OF MINORITY STAKE IN PEANUTS - DHX Media". ^ "DHX Media shifts strategy toward digital as young viewers' TV habits change". Retrieved 2018-10-02. ^ "DHX Announces Peanuts Deal, Content Refocus Following Strategic Review - Animation Magazine". www.animationmagazine.net. ^ Ltd., DHX Media. "DHX Media Concludes Strategic Review". www.prnewswire.com. ^ "Peanuts FAQ". Archived from the original on December 15, 2007. Retrieved October 1, 2006. ^ "Comics: Good Grief". TIME.com. April 9, 1965. Retrieved May 21, 2015. ^ "Fantagraphics Books to publish "The Complete Peanuts" by Charles M. Schulz" (Press release). Fantagraphics. October 13, 2003. Archived from the original on September 25, 2006. Retrieved November 30, 2006. ^ "D'oh! Bugs Bunny Edges Out Homer Simpson" (Press release). TV Guide. July 26, 2002. ^ "Breaking News, U.S., World, Weather, Entertainment & Video News". Archives.cnn.com. Retrieved May 21, 2015. ^ "Just for Brass – Music Fact of the Day: The noise of ..." Facebook.com. April 18, 2013. Retrieved May 21, 2015. ^ "TROMBONE-L Digest 1599". Retrieved 2018-02-13. ^ de Moraes, Lisa (November 29, 2006). "Charlie Brown Feasts, Madonna Gets the Crumbs". The Washington Post. ^ Edward, C. (October 13, 2013). "France Will Produce 500 New "Peanuts" Shorts". Cartoon Brew. Retrieved October 13, 2013. ^ Zahed, Ramin (April 21, 2013). "Fox Offers More Details on CG 'Peanuts' Feature". Animation Magazine. Retrieved April 22, 2013. ^ Fleming Jr, Mike (October 23, 2013). "Paul Feig Lands Animated 'Peanuts' Fox Pic". Deadline. Retrieved October 24, 2013. ^ "Charles Schulz's 'Peanuts' Gang to Hit Theaters". ComingSoon.net. October 9, 2012. Retrieved October 9, 2012. ^ 20th Century Fox (November 7, 2012). "Fox Gives Peanuts and B.O.O Earlier Releases". ComingSoon.net. Retrieved November 8, 2012. ^ "Snoopy Gets Out Of The Doghouse In 'The Peanuts Movie'". NPR. November 5, 2015. Retrieved June 2, 2018. ^ "The Peanuts Movie (2015)". www.boxofficemojo.com. Box Office Mojo. Retrieved February 13, 2018. ^ "PEANUTS Reprint Books". Retrieved May 12, 2009. ^ "The Complete Peanuts: 1999-2000". Fantagraphics Books. Archived from the original on March 10, 2016. Retrieved March 24, 2016. ^ "THE COMPLETE PEANUTS 1955–1956". Snoopy. March 22, 2004. Archived from the original on September 24, 2005. Retrieved October 12, 2007. ^ "Celebrating Peanuts". Andrewsmcmeel.com. Archived from the original on September 23, 2015. Retrieved May 21, 2015. ^ Rooney, David (December 15, 2005). "Legit Reviews: Dog Sees God: Confessions of a Teenage Blockhead". Variety. Retrieved April 24, 2011. ^ "Charles M. Schulz MuseumVisiting Universal Studios Japan – Charles M. Schulz Museum". Schulzmuseum.org. October 30, 2013. Retrieved May 21, 2015. ^ "Peanuts Family Tree". Boston.com. 2000. Retrieved December 1, 2015. ^ "New York Jets' Rex Ryan will be a punchline if he can't back up his title talk". Espn.go.com. October 21, 2011. Retrieved May 21, 2015. ^ "Charlie Brown Cafe". Charliebrowncafe.com. Retrieved May 21, 2015. ^ Lim, Hyun-wook (November 20, 2010). "Hongdae's bohemian raps and dancing". Joongang Daily. Archived from the original on June 9, 2013. Retrieved March 6, 2013. ^ "Snoopy on Apollo 10". Retrieved October 17, 2007. ^ "Charlie Brown and Snoopy at Apollo 10 Mission Control". Science.ksc.nasa.gov. Retrieved October 17, 2007. ^ "Learn About Spacesuits". NASA. November 13, 2008. Retrieved 15 March 2017. ^ "Arago: Peanuts Comic Strip Issue". Arago.si.edu. Retrieved May 21, 2015. ^ "Good Grief, Charlie Brown!". Somerset House Trust. Retrieved September 27, 2018.